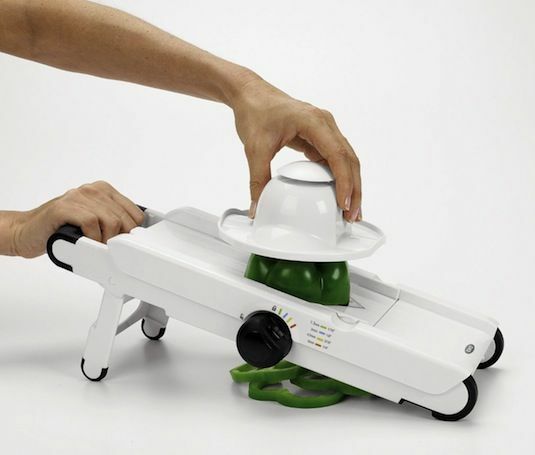 This mandolin slicer one of my favorite kitchen gadgets. It makes slicing so much fun! You can even adjust the thickness of your slices with the simple turn of a knob. I use it a lot for potatoes, tomatoes and cucumbers.